Not far from Palazzo Ducale, you can see Ponte dei Sospiri (literally translated Bridge of Sighs), linking Palazzo Ducale, where the justice was administered, to the prisons. The legend tells that prisoners used to cross this bridge after judgement to reach the prisons and so, through the little window on the bridge, the could see for the last time the sea. Punta della Dogana was the old custom point of Venice. It is placed on the other side of Canal Grande respect to San Marco, where the two main canals of Venice (Canal Grande and Canale della Giudecca) meet. The view from Punta della Dogana is totally amazing and the light breeze refresh also the hottest summer days. At the sunset this place turns into a masterpiece. If you love art you can’t miss this Church. This church of the XIII century is the biggest church of Venice and hosts the tomb of Canova and Tiziano, full of symbols and artistic references. It is totally worthy a visit. The small island of Burano is easily reachable from Venice by ferry boat. It is famous for its colors and for its production of amazing laces. There are many nice restaurants which are depositary of an old gastronomic tradition. Typical biscuits are the bussolai. 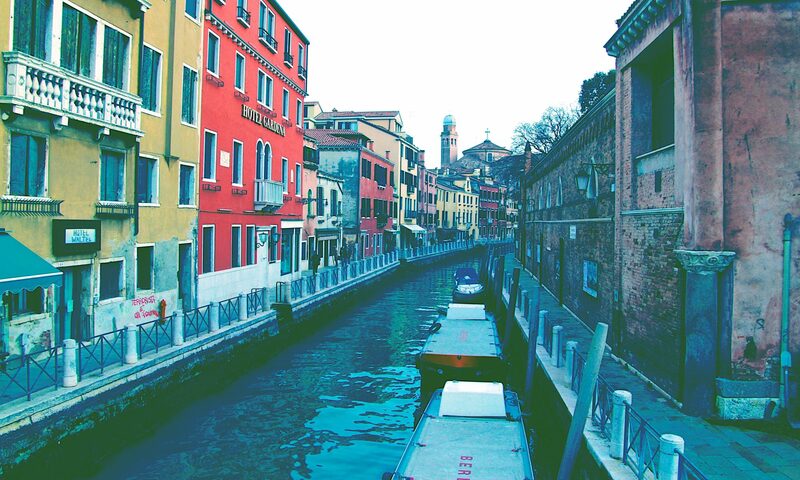 The island of Murano, populated by almost 4500, is another small island that shall be taken into consideration. If you manage to go there, you’ll find its worldwide famous glass production, the best of its kind. Nice place to buy a glass souvenir of Venice. Rialto Bridge is without doubt one of the symbol of Venice. Rialto is the oldest part of Venice, our advice is to explore the area nearby, full of joyful shops and Bacaro. The fish market of Rialto is also very typical and cool, especially in the morning. Created in the XVI century, it is the center of the Jewish life in the city. Here, you can visit the beautiful synagogues and visit the traditional shops in the streets. One of the three Peggy Guggenheim collections in the world. Here, you can admire masterpieces of modern art, as well as enjoy the cool garden of the palace placed directly on the Canal Grande. On the direction to Punta della Dogan, it is a nice area with some Bacaro and good spots. And what about you? What is your favourite place in Venice? Share your experience with us! !